Lashes and brows: two things the beauty world is currently obsessed with, and two things of which I lack in excess. But like a less-heroic Katniss Everdeen, I’ve chosen the high route and have become resourceful with the tools offered to me—except instead of a bow and arrow, my weapons of choice are a slew of high-tech beauty products. Enter: Wunderextensions Lash Extension Stain Mascara ($22), an ingenious product that works as a mascara and promises to leave your lashes tinted for three days afterward. If you have thin, sparse, straight, or generally lackluster lashes, this product will help you fake the fuller flutter of your dreams. The wand looks like any other mascara wand, and it disperses a natural-looking tint—I like to do a few coats to really build up the volume and color. If you prefer a natural-looking lash look, your work here is done. If you, like me, prefer to make your lashes look as visible as possible—like a push-up bra in a tight T-shirt, like a brazen declaration of, “Look at me and my faux-but-amazing self!”—you’ll want to layer your favorite mascara over the stain. 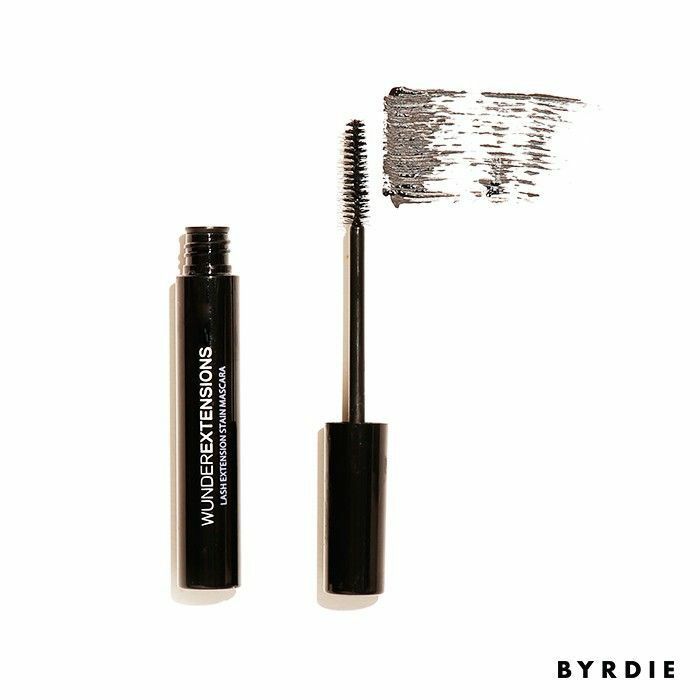 In fact, the brand says to treat the mascara as a primer, using it in tandem with its Lash Extension & Volumizing Mascara ($22). I layered it under my YSL Mascara Vinyl Couture ($29) in Black and thought it worked just fine—it actually helped my lashes stay super curled all day as well (Tip: Make sure to curl your lashes before applying the Wunderextensions because trying to curl afterward will cause your lashes to stick together). And then the miracle happens: You’ll wash your face (hopefully) at the end of the day, and instead of peering in a lash-less reflection, your lashes will remain defined and tinted. Like they’re naturally that way; like magic. They’ll feel surprisingly soft, not crunchy or like they’re coated in mascara—like I said, it’s magic. This is a savior product if you’re going somewhere—camping, vacation, a romantic getaway with someone who you’re not quite ready to go bare-faced in front of—and can’t be bothered with applying mascara. One note: If you sleep on your side, prepare to take some time in the morning to unsmush your lashes. I found that giving them a quick curl and brushing them through with a spoolie did the trick. Would you try a mascara that tints your lashes? Tell me your favorite lash product below!